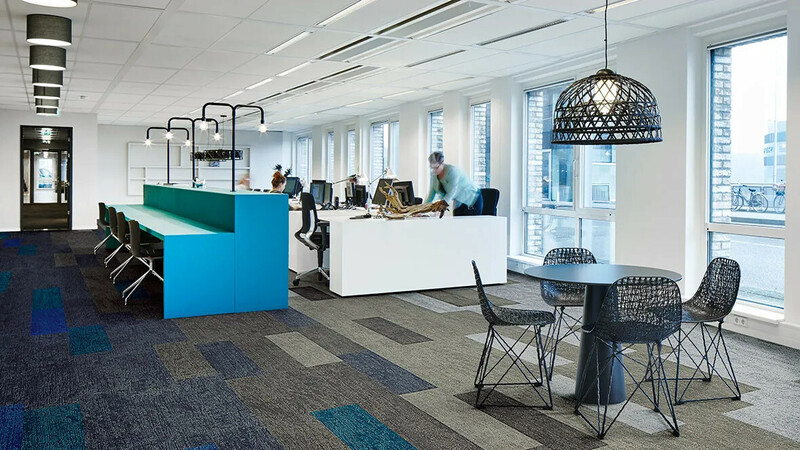 As modularity is a major trend in flooring, Forbo has developed a unique range of Flotex Planks of 100x25 cm with which stunning floorplans can be created. 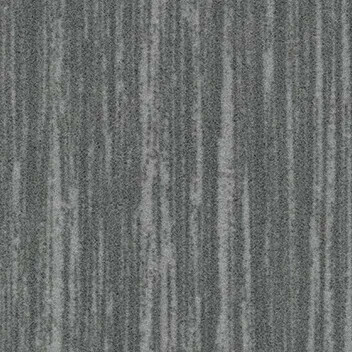 Ever seen a concrete textile flooring? We offer 6 exciting floor designs that offer endless possibilities to mix & match, perfectly adapted for all sorts of environments. & resilience. 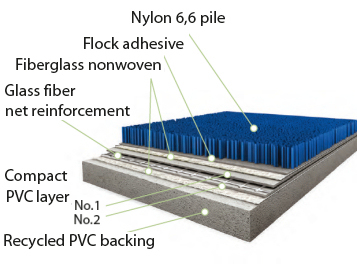 Flotex offers a flooring solution for areas where safety, hygiene and well-being are in high demand. 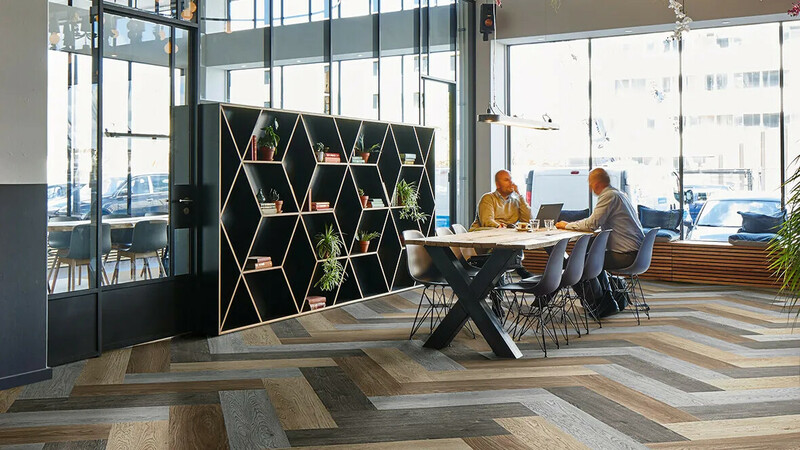 As modular flooring is a major trend, we've developed our new Flotex Planks collection, containing 6 unique designs in plank sizes of 100x25 cm. Stunning floorplans can be created with the contemporary designs that match every requirement. 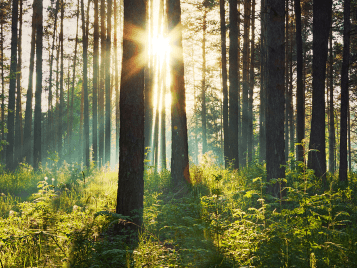 The Wood and Seagrass design, because of their natural and warm feel, even go down well in homely environments like housing for the aged and care facilities. 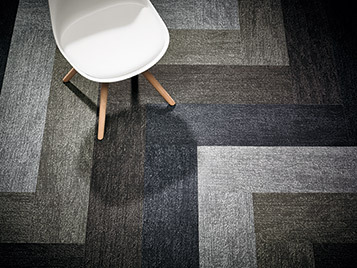 Flotex Planks offer endless possibilities to mix and match colours within 1 design. 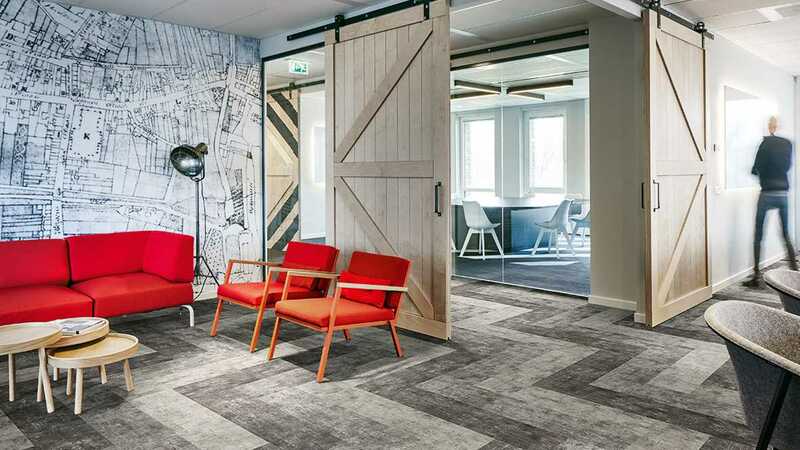 Laying patterns can also create stimulating and lively environments with zigzag motives or herringbone designs. Flotex Planks show little repeat in their patterning, creating interesting and beautiful floors even when only 1 single colour is used. 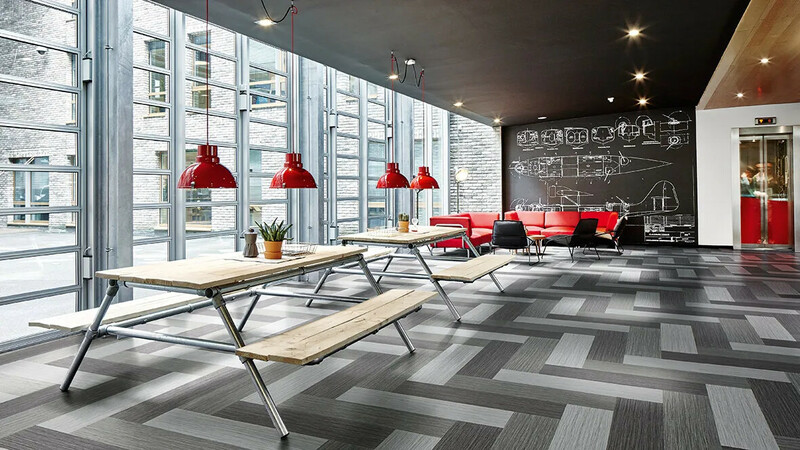 Already available in sheet and tile formats, Flotex now offers you the possibility to create and design sophisticated indoor environments with a new series of plank designs of 100x25 cm. Flotex is able to `hide' soiling to a greater or lesser degree depending on its colour and design. 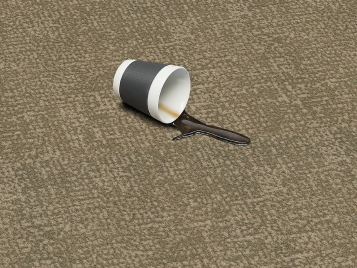 Using objective testing methods, we have graded every one of the Flotex designs on their ability to hide general dirt. 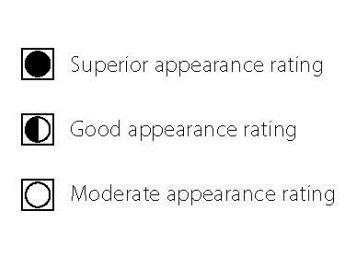 The result of these tests is a soiling classifcation which is divided in: superior appearance rating, good appearance rating and moderate appearance rating. 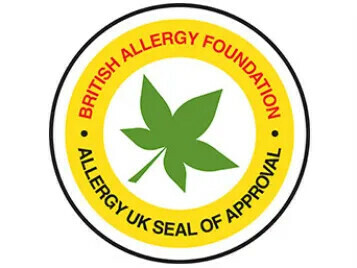 The rating is shown alongside each product reference number.